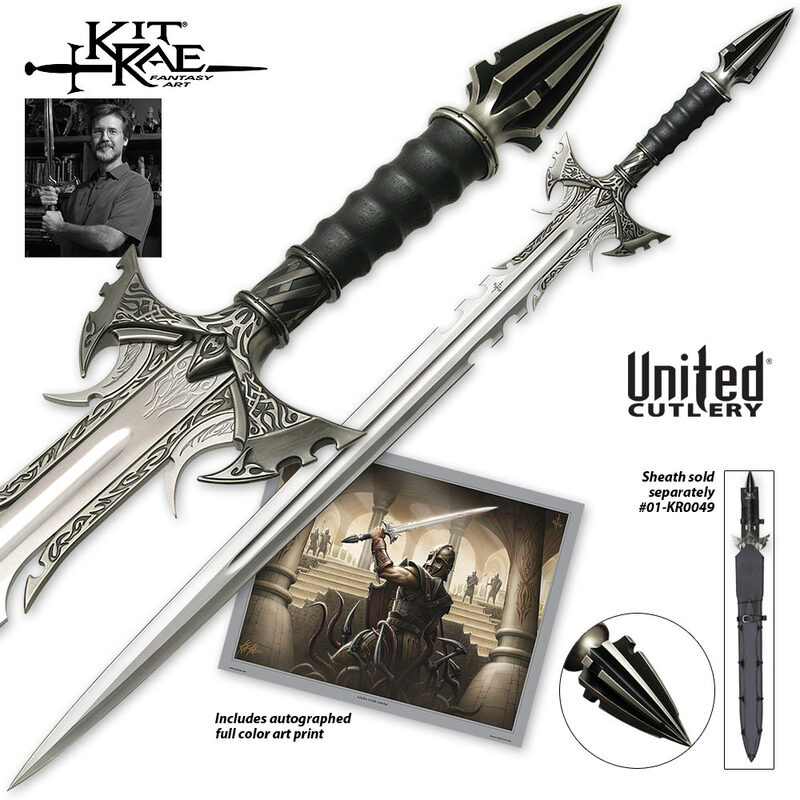 Kit Rae Fantasy Swords by the art work in Steel designer. 45 1/4" overall with a 33" unsharpened blade. The primary weapon of the Black Legion, monstrous foot soldiers of the Dark One. 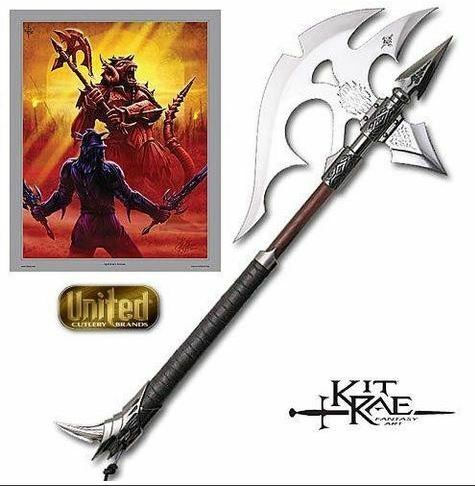 This item features a 420 J2 stainless polished 19 1/2" blade and back spike, engraved runes, solid metal and wood handle parts, and a genuine leather wrapped grip. It includes a certificate of authenticity and each is serial numbered. The first production run of 500 axes produced will include an art print autographed by Kit Rae. 36" overall, 19 1/2" blade. 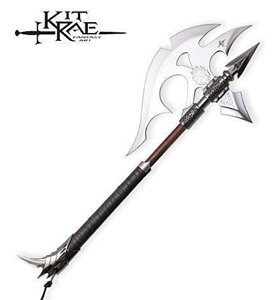 Brand New in the Box Overall Length: 36" Blade Length: 19 1/2" (False Edge) 420 J2 stainless polished blade, back spike, engraved runes. Handle Material: solid metal and wood handle parts, and a genuine leather wrapped grip. Includes a certificate of authenticity and each is serial numbered. Includes an art print of "Agnemmel’s Nemesis" autographed by Kit Rae. Kit Rae Swords of the Ancients Mithrodin Sword. 42 3/4" overall. 22 3/4" 420 stainless false edge blade. Solid metal handle with antique finish.